Alpha Centauri looks set for her first date in the stud house since retiring from the racetrack, with the Coolmore superstar Galileo. The news was issued yesterday by the Niarchos Family's Racing Manager Alan Cooper, who confirmed that the daughter of the great Mastercraftsman - victorious in four Grade Ones last term, will meet with the dual Derby winner of 2001. The 4yo sustained a career-ending injury to her fetlock back in September, when finishing second to Laurens at long-odds, in the Matron Stakes at Leopardstown. (Credit: Racing Post) Cooper said: "She is absolutely sound now and appears to be enjoying the transition from a filly in training to the paddocks. "Galileo fits the bill for her. And of course it’s also the Galileo - Danehill cross link. 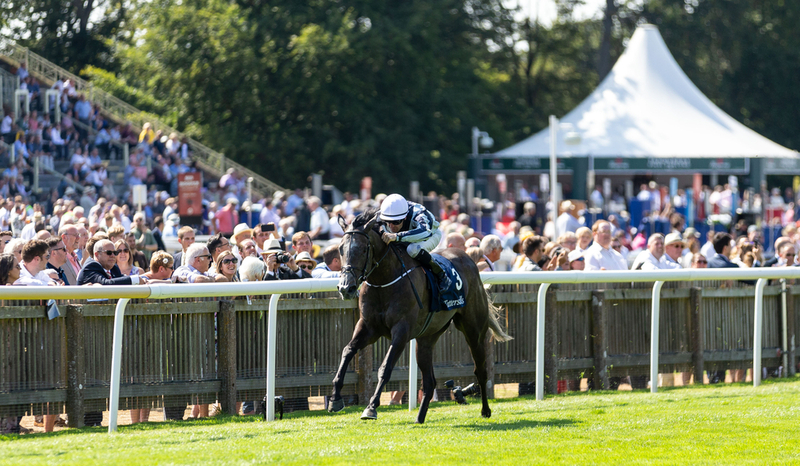 Alpha Centauri gave Jessica Harrington - more known for her exploits over jumps, her first Royal Ascot winner in the Coronation Stakes last season. She also landed the Irish 1,000 Guineas, the Falmouth Stakes and the Prix Jacques le Marois, before being presented with the Cartier Three-Year-Old Filly of the Season.